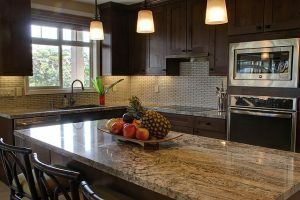 Posted on September 8, 2018 September 10, 2018 by Richard S.
When packing your home, usually the worst room to pack is the kitchen. A lot of items of a strange shape, sharp things, perishable and breakable things. It’s hard to understand where to start by packing your kitchen. We are here to help you. The easiest way to do it safely is to turn to residential movers Kuwait. But, with a little foresight and a preliminary plan, you can pack your own kitchen yourself. And it is worth saving a lot of money doing it yourself. Where should you start with packing your kitchen? First things first. Packing the kitchen may seem like a task that you must necessarily do right before you move. In fact, if you think about it, a large number of items in your kitchen you don’t use that often. It’s much better to pack a few boxes every week, rather than face it all the day before the move. Things like tins for cakes, slow cookers, a glassware for special occasions and seasonal items can be packed in advance to reduce stress. In the kitchen – you will definitely need packing materials for packing and moving stress-free. This is a basic list of essentials that you might need. Depending on your budget, you can purchase a lot of specialized packaging items for stacking glasses. Or you can use them more thoroughly. Boxes – We recommend using boxes on the smaller side to pack kitchen items. Since you do not want the drawers to become too heavy. Look for boxes with the sizes “wine” or “book”. Paper. You can use old newspapers for kitchen equipment or meat paper for dishes. If you have a good quality porcelain, it is good to pack it in an acid-free napkin to reduce the likelihood of tarnishing. Tape. Invest in a dispenser for packing tape, they are not very expensive and will save you a lot of time. Marker Pens / Stickers. Stick each box carefully. Having 30 boxes with the inscription “kitchen”, when you arrive at your new home, is not very useful. Be more specific, for example, marking, metal kitchen utensils, everyday plates and bowls and so on. Color stickers are useful for marking each room – for example. red for the kitchen, blue for the bathroom, etc. So you get a quick visual help for which the box belongs in which room. Padding. This is necessary for softening fragile objects. You can use a bubble wrap or foam wrap, although it can be expensive. Equally effective is the use of linen items such as tea towels, pillowcases, etc. If you have a chopper, you can make a pile of chopped paper when you pack your office. It goes without saying that moving a house is a great time to declutter your home and get rid of unused items. This is especially true in the kitchen. There is really no point in worrying about moving things if they are out of date or not used. For example, those 50 small bottles of spices, which you stock in the pantry. Most of them are past 6 months after opening. Eat. Yes, the more you eat out of your pantry, the less you need to pack. This is really a win-win situation. When packing food, especially liquids, take a stash of bags in the supermarket. And then bag each item in a plastic bag to prevent any leaks. Ideally, when moving long distance, you really do not need to carry half of the used tomato sauce bottles. It’s just not worth the time and effort – nor cleaning if there is a spill. Start packing your kitchen with a packing rarely used items a few weeks before, as indicated above. When packing your boxes, put something that is not destructible on the bottom to protect more fragile items. For glassware – stuff the inside of the glass with twisted paper. And then wrap it in another layer of paper. Wine boxes (with their inserts) are ideal for packing your best glasses. Wrap it and pack it in the cavity of the wine bottle. Wrap the plates in newspaper or meat paper and place a cheap paper plate between them to prevent scratches. 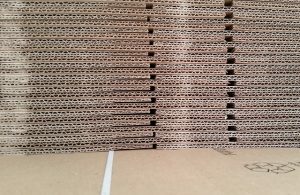 Lay them in boxes on the side, as they are most likely to absorb the impact that way. Use all available space by “nesting“. It simply means filling in all spaces with something smaller. Things travel better if they are tightly packed with less space for moving. Just make sure that there is a lot of padding between the breakable things. Make a stack of corks to pop out on the sharp end of your knives before packing. Or if you do not have corks, you can also cut a piece of polystyrene to do the same job. Save time by wrapping your cutlery inside the cutlery holder. Pack the box “Essentials“, which will contain the items that you need right away in your new home. Include your most used and important items, such as a kettle, a toaster, a plate, a bowl and cutlery for each family member, utensils, tea towel, detergent, paper towels. Or, if you do not want to take your chance with packing your kitchen, there is a much better solution. For your next move – go with a cheap reliable option from a reputable mover, such as Easy Move Kuwait, with hundreds of satisfied customers.